"Storytelling is primal. It's how humanity gives testament to its existence. It's always universal." What is the New Black Fest? The New Black Fest is a theater festival that celebrates, interrogates and advocates for the diversity within the African Diaspora. 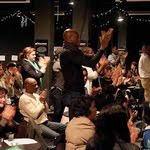 The New Black Fest is committed to challenging black audiences (as well as all audiences) with stories from the global black experience that are often neglected, unmined or considered too insurgent. 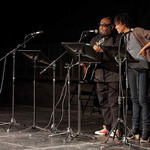 The New Black Fest is a year-long event that provides panel discussions, curated readings as well as a new series titled the American Slavery Project which showcases plays about the period of American slavery written by black writers. Each ASP reading is accompanied by a panel discussion from noted history scholars. 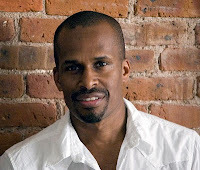 Our aim with the American Slavery Project is to shy away from the standard romanticized slavery stories often found on the stages of mainstream theaters and provide the theater community with varied and diverse stories from the multiple perspectives that make up the black historical experience. 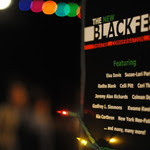 However, in the fall of every year, The New Black Fest celebrates itself with a festival of plays, discussions and music in various locations in NYC. The idea for The New Black Fest emerged out of working in a community of black theater artists who were spending a great deal of their time waiting for their larger institutions to qualify, jump-start or anoint their careers. Not to mention the lack of diversity in story and talent on the American stage. 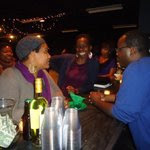 So, in 2010, while attending Arena Stage's New Play Institute's Black Playwright Convening, I mentioned to the conveners that I wanted to start a festival. During that convening many of us were citing instances of marginalization, institutional racism and/or lack of opportunities, and most of us gave testament to instances where theaters ignored our plays because the plays didn't fit into a particular (and comfortable or commercially-viable: a la August Wilson) black aesthetic. So, again, in 2010, I mentioned to the conveners that I wanted to start a theater festival that celebrated our diversity and it has grown like wild fire. 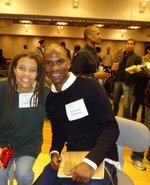 J. Holtham (pictured left) and Jocelyn Prince jumped on board as co-artistic directors with similar interests. Lynn Nottage and Suzan-Lori Parks signed up as advisory members. Our community of like-minded artists is still growing. I'm a playwright who also acts. I earned my MFA in playwriting from the University of Iowa. 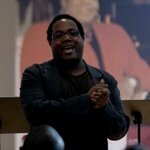 In the last few years I've been a professional and full-time blogger for TheRoot.com, an online newspaper supported by the Washington Post and Newsweek. I've also worked as a television writer and screenwriter. What are your goals (and dreams) for the festival? Our immediate goal is to continue to celebrate diverse theater artists within the Diaspora and also continue to build community and audiences. Our long-term goal is become a development and producing collective. We want to workshop and possibly mount plays. People can get involved by volunteering, but even more importantly, by attending our events and spreading the word. Storytelling is primal. It's how humanity gives testament to its existence. It's always universal. We should all be engaged in each other's stories, equally. People can help by donating. At this point, most our funding comes from fellow theater artists (and friends of fellow theater artists). Any amount will help. Whats your vision for the theater landscape in the near future? It's weird. Although I'm one of the many casualties of the global economic downfall, I do like what it's forcing people (and institutions) to do. It's making us reconsider our priorities. It's making us go back to the basics. It's making us become more honest and courageous in our storytelling. In truth, all theaters need is a play, actors and a director with minimal tech support. If we get back to the primal need of storytelling, then we can relinquish the bells and whistles and get to the story. We can make theater affordable for all. If we can get back to the bare bones basics and make theater affordable, well, then we can produce anything, anywhere. There will no longer be a need to depend on the whims and interests (and anxieties) of white, middle-class, middle-age subscribers and audiences. The future of theater should be for everyone. 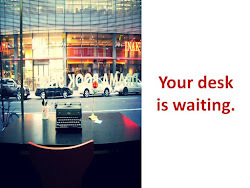 Who and what is inspiring you right now? The world and all of its many changes, transitions and undeniable truths. 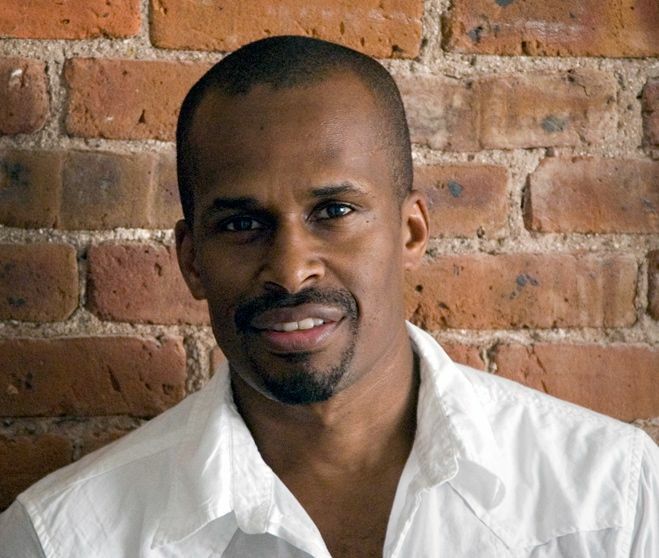 Then Saturday, join the New Black Conversation: "The Future of Progressive Culture in a Capitalist Society," hosted by The Festival of the New Black Imagination with playwright Dominqiue Morisseau, music journalist Marcus Dowling. New Black Plays and Playwrights begins Sunday Oct 16th with black Picasso by Zakiyyah Alexander at 2pm and Just Me, You and The Silence by Judith Adong at 7pm. The conversation continues on Monday with The Struggle for Gay Rights in Africa, with Ugandan playwright Judith Adong, Dr. Cheikh Traore, UN Senior Advisor on Sexuality Diversity and more, moderated by actress/activist Bridgit Antoinette Evans at 6pm. Sunday October 23rd, New Black Plays and Playwrights continues with Annie Bosh is Missing by Janine Nabers at 2pm, Carnaval by Nikkole Salter at 5pm and Homage 2: The Great Adventures of Slick Rick by Shaun Neblett at 7:30. For more information on locations and times, or to make a reservation or donation, please put it here.